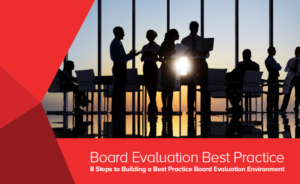 Organisations cannot afford to be complacent when it comes to monitoring and evaluating Board performance; however, engaging the relevant stakeholders can be challenging. A strongly performing board adds considerable value, while a board that is under performing exposes the organisation to unacceptable and potentially catastrophic risk. Organisations cannot afford to be complacent when it comes to monitoring and evaluating Board performance. A strongly performing board adds considerable value, while a board that is underperforming exposes the organisation to unacceptable and potentially catastrophic risk.